Sterling silver textured link chain necklace with a detachable gemstone charm. 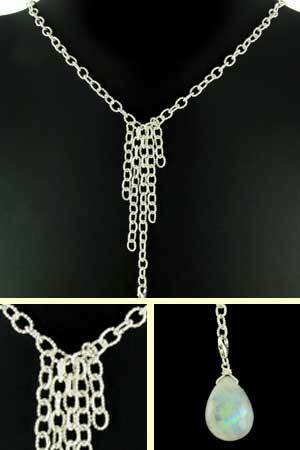 This beautiful necklace is an open link chain with each oval link textured in a rope design. 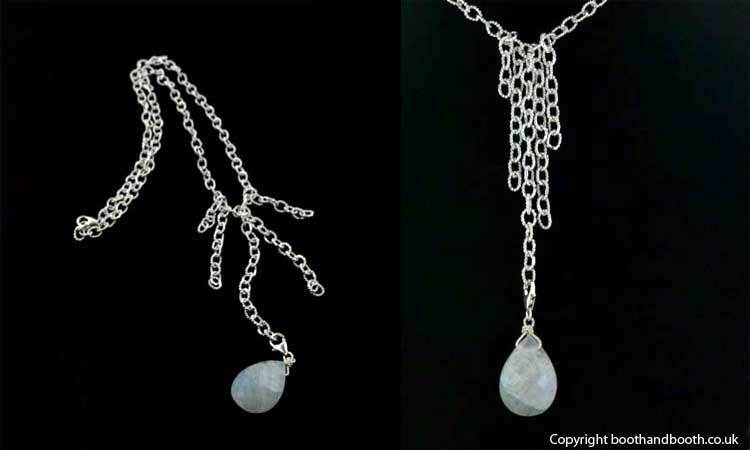 It has 5 chain lengths forming the pendant. 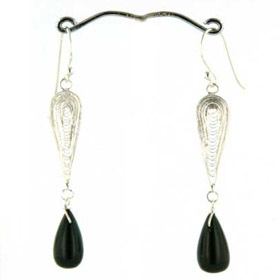 On the longest tassle is a faceted pear drop gemstone which attaches using a lobster claw fastener and can be removed to wear the chain alone. This necklace moves fluidly and fastens with a lobster claw fastener. Necklace length excluding the pendant 20" maximum. Pendant length including gemstone charm 4.5"